Every order will receive a free pack of 2 (A5) cards. The gift will automatically be added to all orders. 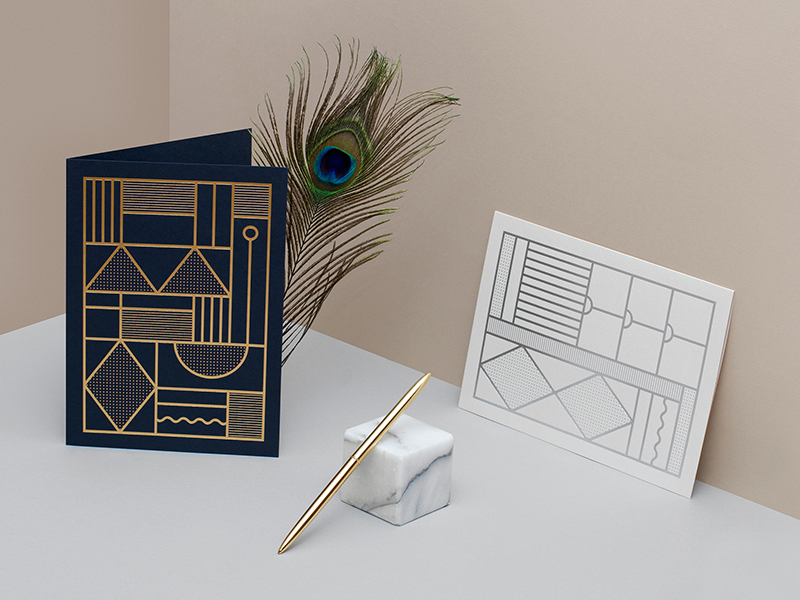 The 2 cards (value: 11 Euro / 12.50 USD / 82 DKK) are letterpress printed with gold or silver foil on heavyweight colored luxury paper. The geometric patterns are inspired by the beautiful old iron entrances in Italy. Use the cards as small framed pieces of art or give them to someone with a personal note.